Using the fancy dryer inside your house!! 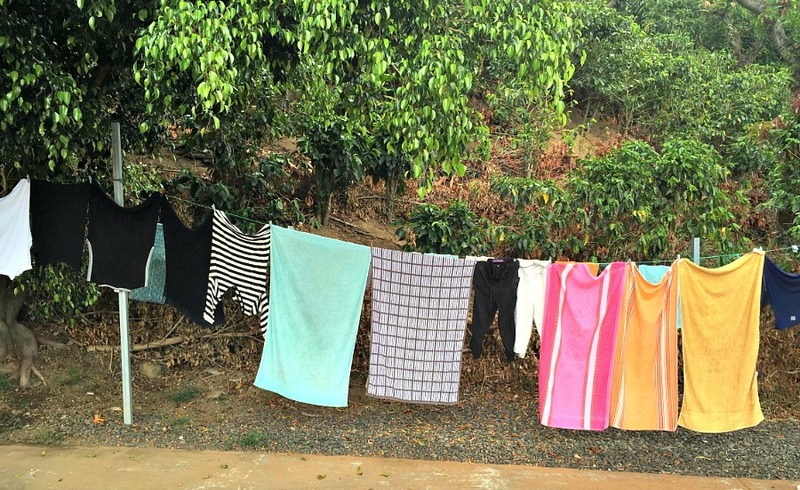 Although electric dryers are sneaking into more homes in Costa Rica (especially with the influx of more gringos who consider dryers a necessity, like refrigerators), most Ticos still dry their wash outside in the sunshine and fresh air. 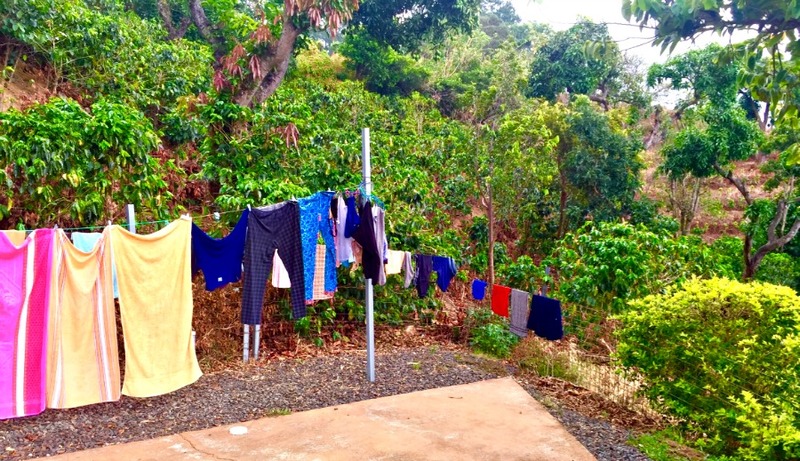 You can see freshly scrubbed (often by hand) laundry draped over fences, hung in trees, suspended on clotheslines and/or neatly spread out on the ground. Many homes have interior drying areas with a rack and pulley system for the wet clothes. Also in the rainy season you can hang the clothes on the rack and in the warmth of the morning sun, the clothes get a head start on drying. Hopefully, they will dry before they start to get musty and have to be re-washed. You'll save money, cut carbon emissions, and extend the life of your duds in the process.